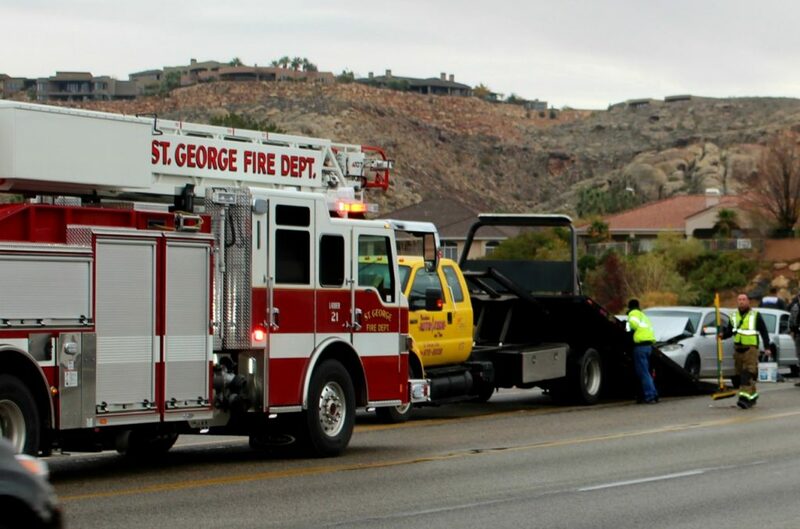 ST. GEORGE — Three vehicles piled up in an accordion-style collision Thursday on River Road that was set in motion when one vehicle, unable to stop in time, struck a second vehicle that was pushed into a third. 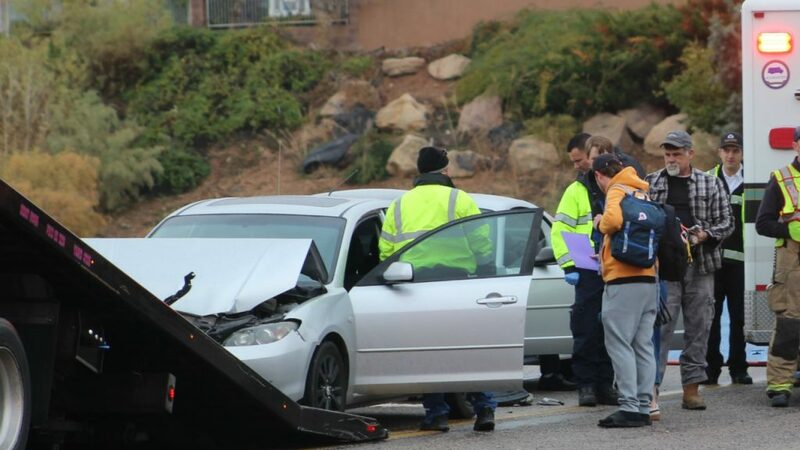 A few minutes before 9 a.m. officers and emergency personnel were dispatched to a three-vehicle crash on River Road across from the Tagg-n-Go car wash, St. George Police officer Trevor Anderson said. 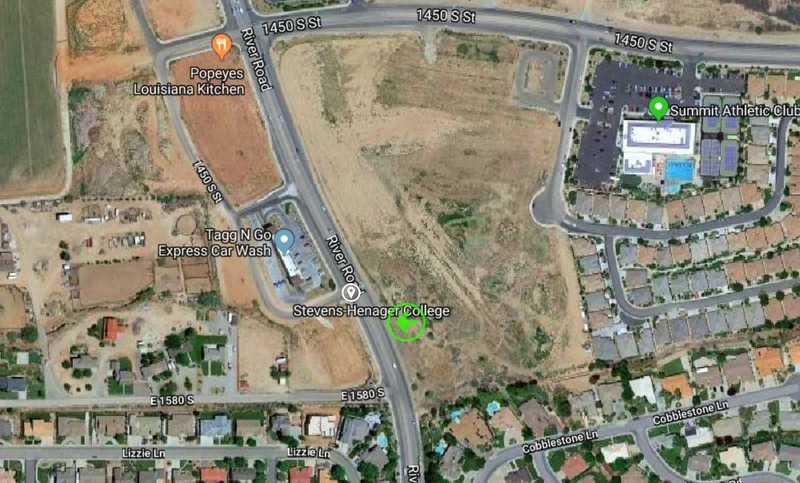 Officers found a charcoal Toyota Sequoia pulled off of the roadway with minimal rear-end damage while a white Ford Mustang and silver Mazda passenger car were partially blocking the No. 1 northbound lane of River Road. Paramedics checked all vehicle occupants and found only minor injuries reported by the driver of the Toyota. The crash was triggered when a white passenger car not directly involved in the crash started to enter the center lane to turn left into the car wash. However, the vehicle did not completely enter the turn lane, leaving the rear of the car partially blocking the northbound lane of travel. “That car was sticking out which caused the cars behind it to hit their brakes,” Anderson said. The Toyota and the Mazda were able to stop in time, but the Mustang couldn’t and struck the rear bumper of the Mazda, pushing it into the rear bumper of the Toyota. All occupants were properly restrained at the time of the crash, Anderson said. The Mazda and the Mustang both sustained significant damage and were towed from the scene, while the Toyota remained operational with rear damage only. The driver of the Mustang was cited for following too close. Looks like we need more police on duty to make people don’t speed, follow too close and smash into each other all over town. But seriously, those who think police on every corner will solve the daily demolition derby in STG are sadly mistaken. Disrespectful, arrogant and ignorant drivers are the problem. More like stupid California driving: too fast, too close. You take you life into your own hands when you drive River Drive. Or the dumb local driver blocked an open traffic lane. Hey I have an idea! Make it a law that you have to stay several car lengths away from the vehicle in front of you… What? That’s already a law? Oh okay, well then make tailgating illegal! … What? That’s already a law, too? Hmmm, okay how about you add these as questions to the driving test… What? You mean they’re already on the driving test? Then why don’t people know about it? … It’s an open book test?!? They’re putting 16 year olds in the road after taking one open book test?!? Now, Much research has been done and it was concluded that if you don’t pay attention while driving in traffic, and don’t remain at a safe distance behind the vehicle in front of you, there is a greater risk of plowing into said car in front of you!. I know, crazy, huh?